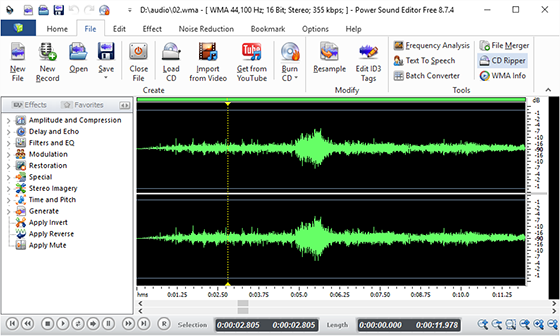 Power Sound Editor Free is a handy little tool with small size for audio editing, recording, audio CD burning and ripping. It helps you to rip the tracks of the unprotected CD. Extract these songs out to transfer to your mobile devices now! 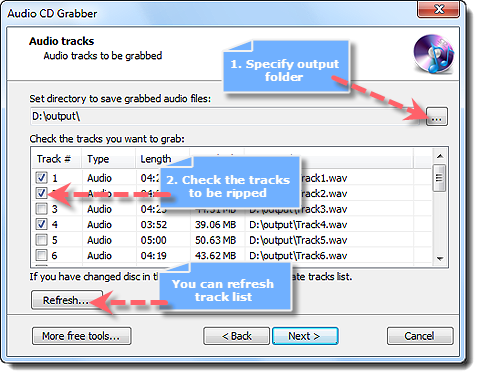 In the content below we’ll show you how to rip Audio CD with this free audio editor software. Download and install Power Sound Editor Free from our website. There’s a desktop shortcut through which you can launch the program. 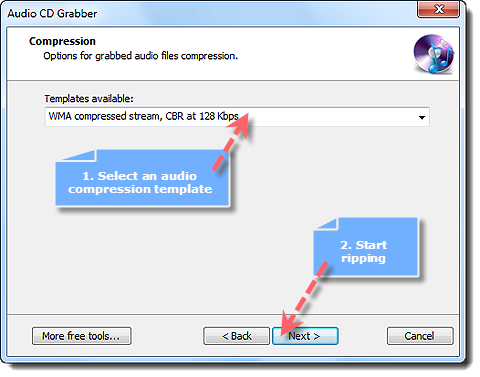 Insert the audio CD into your drive and click “File – CD Ripper” and an audio grabber wizard pops up. Just click “Next” to proceed further. 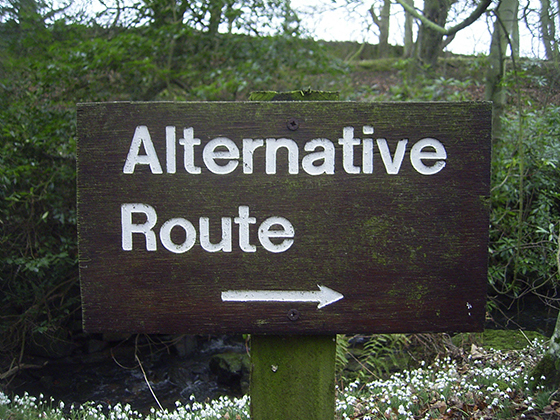 Choose SCSI transport according to your operating system. 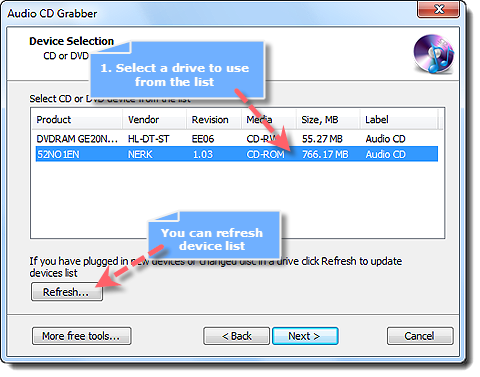 The grabber will scan your computer for available CD-RW drive. After that, the available drive will be listed. Choose a drive if you have more than one drives. The available tracks of the inserted CD will be listed and checked by default. You can uncheck any track unwanted. Choose the output directory, which is located at “C:\Program Files\Power Sound Editor Free” by default. Click “Next” to choose the compression option and review all the options you’ve specified. Finally, click “Start” to start ripping. When the progress bar reaches the end, the ripping is done and you can enjoy the ripped tracks in your mobile devices now. How to Rip Audio CD Differently? 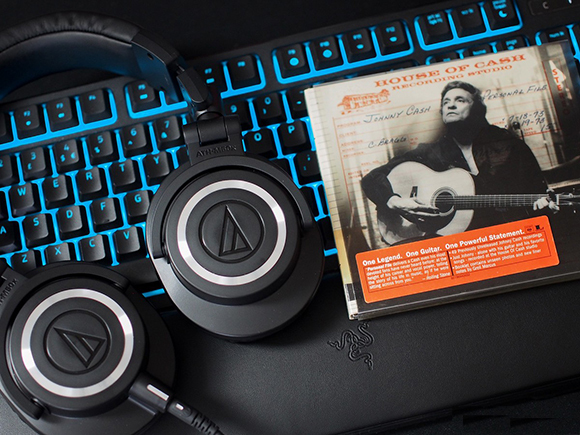 Most of us may not know that Windows Media Player is also a good option to rip audio CD. You can perform both quick rip and normal rip within this media player. After the “AutoPlay” menu comes out, insert a disk in your computer’s drive. Choose “Rip Music From CD” and the Windows Media Player will be automatically launched. Uncheck the box of “Always do this for Audio CDs” box. Now, click “Start Rip” to start the CD ripping process. When you see “Ripped to library” in “Rip status”, which means the process is finished. Windows Media Player will rip your music in WMA format and you can find it in “Music” folder. Power Sound Editor Free is an all-in-one package primarily suited for anyone who has the zeal for audio editing. Although this program is powerful and full of controls, it’s not overwhelming for even beginners. You will definitely be satisfied with what this top-notch product offers. Whoever is searching for the best audio editing software or even wants to create their own music, can find everything they need with Power Sound Editor Free.